 Deep-sea diver ``Tiller'' Galloway's third adventure (after Bahamas Blue, 1991; Hatteras Blue, 1989) is so weighed down with subplots, techno-claptrap, and tough-guy blather that, when Poyer finally gets to the story, it sinks with nary a bubble. An ex-con, Galloway has fled North Carolina for the Louisiana Gulf coast, hoping to make big money diving for the oil companies. Hired by DeepTech, a small operation owned by Roland ``Bender'' Boudreaux, he joins his new mates in a serious drinking bout (they snort goldfish and drink urine to prove their grit) and a brutal, pointless barroom brawl before heading for Pandora 12, a platform owned by Coastal Oil. On the way, Galloway's helicopter mysteriously crashes, killing three men, one a government official. Tiller escapes, leaving behind an important briefcase (Poyer also leaves behind a body), and finally gets to work on the pipeline, where he remains locked in a l0' x 20' pressurized chamber with the other guys for weeks at a time. (Poyer provides detailed if often unintelligible exposition of their duties.) While inspecting pipeline at 1,200 feet, Tiller reports extensive damage that could lead to an oil spill that would douse the entire Gulf of Mexico. 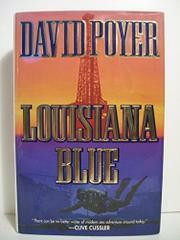 Boudreaux, who's in cahoots with the financially tottering oil company, orders Tiller to falsify the report. He's offered a lot of money, but Tiller's deep-down integrity floats to the surface. Much too slow in developing, the plot doesn't really emerge until the novel is two-thirds over. By then, it's scuttled.